The very first internal-combustion motorcycle, built by Daimler and Maybach in the 1880s, was water cooled, but it also had four wheels. 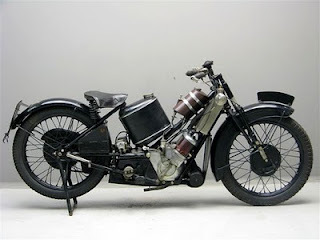 The first two-wheeled motorcycle with a water-cooled motor may have been the 850cc Wilkinson TMC built around 1910. 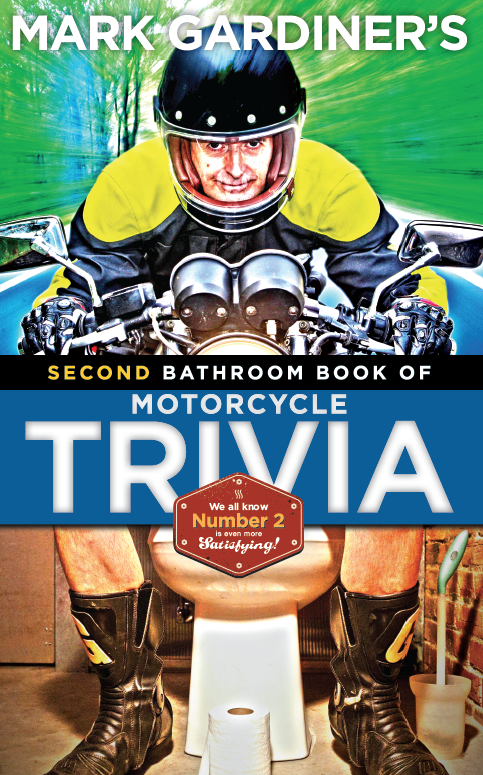 It leaned to turn, but had a steering wheel and a chair instead of a saddle, so it was also perhaps too car-like to truly be called a motorcycle. In 1914, the Scott TS set a surprising precedent. 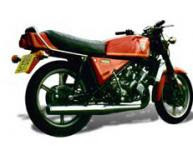 It had a 486cc two-stroke, twin-cylinder motor that bore an amazing resemblance to sport bikes like the Yamaha RZ350, produced a full seventy years later. The early Scott was remarkable in many ways. don't forget the footstarter and telescoping forks, plus the triangulated frame. Ol' Alfred was a fine engineer in the Scottish tradition.